The original mission of the Hebrew Burial Association continues with the JCBA in providing Jewish burials to the truly needy. The JCBA was created in 1992 with the merger of the United Jewish Federation Cemetery Association and the Hebrew Burial Association of Pittsburgh (originally called Chesed Shel Emeth of Pittsburg and incorporated on June 4, 1910). Cemeteries of congregations and benevolent organizations (the Landsmenshaften) no longer in operation created the increasing need for upkeep of cemeteries. The promise we make to those who came before us require adequate resources to maintain their final resting places. Some congregations with declining membership are especially in need of a plan for preservation and maintenance of their cemeteries. 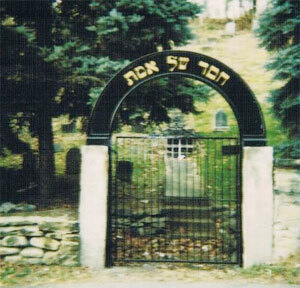 Beginning with only two cemeteries, the original (old) Chesed Shel Emeth on Seavey Road in Shaler Township, established and consecrated in 1853 and the new Chesed Shel Emeth on Oakwood Street in Shaler Township, in use since January 1, 1918 the JCBA then acquired the abandoned Workman’s Circle Branch #975 cemetery on Hoffman Road in Reserve Township. In 1997 through the efforts of board members Louis Zeiden and William Stark the JCBA acquired the Steinfeld Cemetery in New Brighton PA which was being administered by a local bank. The congregation and families to which the cemetery was attached were long gone. Zeiden and Stark successfully made the case to the bank that a Jewish cemetery should be taken care of by a Jewish organization solely dedicated to that purpose. In 2009, two cemeteries – the Workman’s Circle Branch #45 cemetery on Wible Run Road in Shaler Township and the Agudath Achim cemetery on Wickline Road in Hampton Township were turned over to the JCBA by the two groups who had been administering each of them but were no longer able to do so. 2010 saw significant growth for the JCBA when four cemeteries – the Beth Abraham cemetery, the Shaare Zedek cemetery and the Marks cemetery all on Stewart Avenue in the Carrick section of Pittsburgh and the Machsikei HaDas cemetery on Geyer Road in Reserve Township were turned over to us. In 2015 the Bnai Israel cemetery on Sunset Boulevard in Steubenville Ohio was turned over to the JCBA. Jonathan Schachter – Executive Dir.